Metal Roofing In Stock Arizona. Manufacturer of Metal Roofing Located in Phoenix, Arizona. Same Day Service. 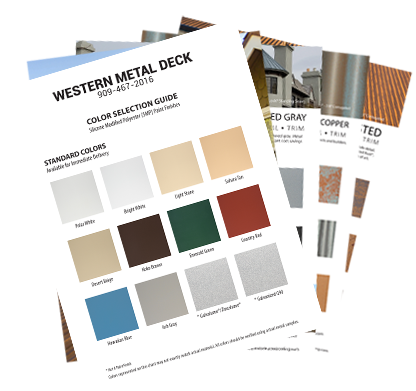 Metal Roofing California is a website owned and operated by Western Metal Deck, an independent, family-owned and operated, leading provider of corrugated metal roof panels, metal roofing accessories, metal roofing supplies, metal wall panel systems, and Verco metal decking. 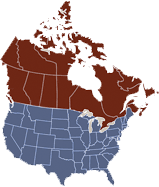 With facilities located in Ontario, California and route trucks that regularly service Northern California, our products are shipped inexpensively to your job location. Because we value relationships and understand the importance of efficiency, we offer superior customer service and satisfaction with product support through project completion. Our sales staff consists of knowledgeable individuals with experience in design, development and construction. Most importantly, our entire staff is dedicated to helping you receive your materials on time so you can begin your project without interruption to your business and project timeline. Metal Roofing California is committed to your satisfaction. For over 25 years, we have serviced homeowners, metal roofers, general contractors, architects, engineers and design professionals with metal roofing products at prices direct from the manufacturer.